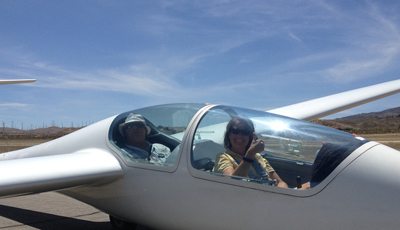 Minden, Nevada – April 16, 2018 – Teachers in Space, Inc. (TIS), the leading provider of affordable flight experiment opportunities for classrooms, will use a grant from the Lifeboat Foundation to fly three new classroom experiments on the Perlan II stratospheric glider in May. The experiments flying with Perlan in May are from the Ashford School in Connecticut (dual geiger counter radiation level testing), Cazenovia School in New York (effects of radiation on plant seeds), and Oregon Museum of Science and Industry (marshmallows at high altitude / low pressure). Details of these and of experiments flown in previous years can be seen at http://teachers-in-space.com/perlan-cubesat-participants-for-2018/. Read Glider Project to Fly at the Edge of Space and Serve as an Experimental Platform for Schools.